The C&D Canal can save a lot of time, but it’s important to plan ahead. The pleasures of the Chesapeake and Delaware Canal are widely praised. 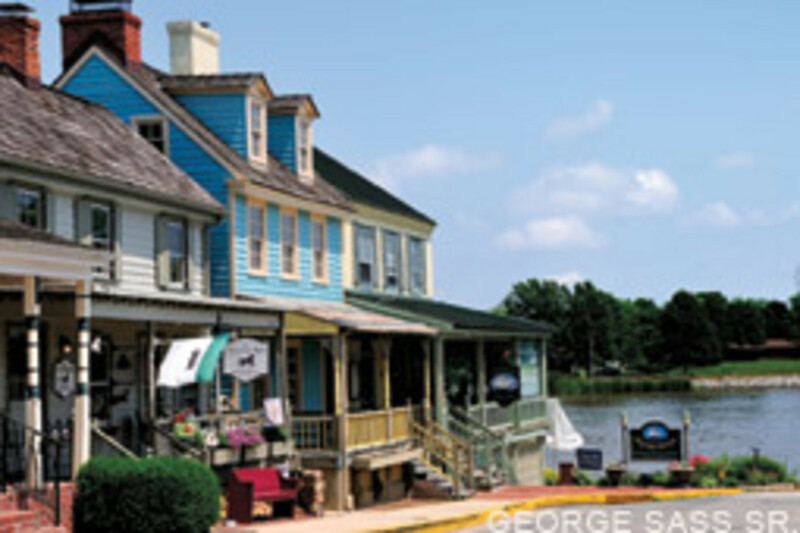 After all, what’s not to love about a shortcut that saves hundreds of miles and many gallons of fuel and offers the charms of a tie-up in lovely Chesapeake City? But if you haven’t experienced the C&D yet, you should know that a safe transit demands a little planning and preparation. 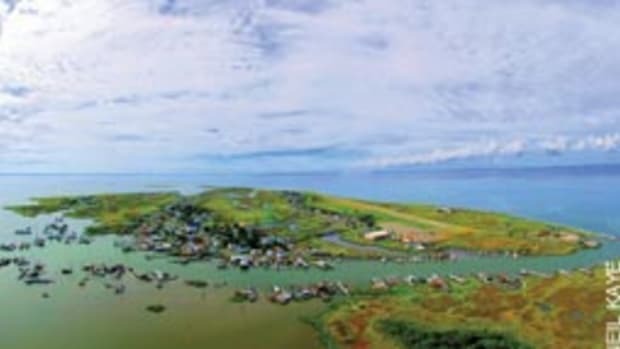 This seemingly peaceful 14-mile connection between Delaware Bay and Chesapeake Bay has had its share of maritime tragedy. 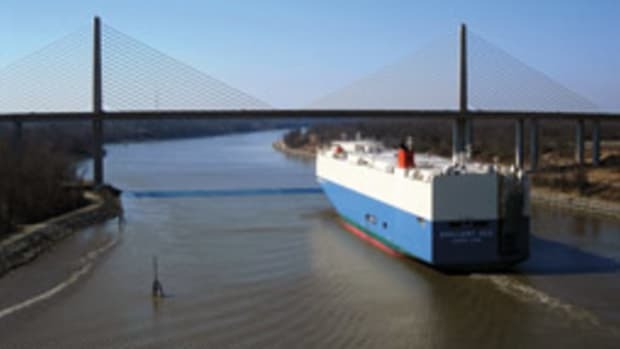 The worst accident in recent years was in early 2007, in extremely dense fog, when a 520-foot bulk ore freighter bound for Baltimore collided with the tugboat Swift and its barges at the western entrance to the canal near Chesapeake Bay. The tug went down so fast it took the captain and three deckhands with it. 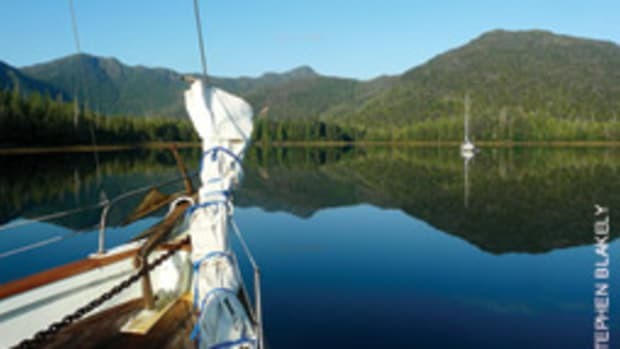 Just two months later, on a crystal-clear night near the same spot, a cruise by the vintage 45-foot wooden schooner Heron and its crew of three came to an unscheduled end in the C&D. Trying to catch a fair tide east to Delaware Bay, the skipper entered the canal about 3 a.m. In the blackness just west of Chesapeake City, Maryland, he failed to recognize the lights of an oncoming barge and steered directly into its bow. The sailboat instantly went straight to the bottom. The skipper and his crew were driven underneath the barge (one was below in the cabin at the time), but all of them managed to surface and were rescued. At the other end of the canal, tragedy struck the oceangoing tug Bay Titan in 2001 as it was heading north up Delaware Bay towing a barge loaded with 850,000 tons of liquid sugar bound for the Domino Sugar plant in Baltimore. When it reached Reedy Point, Delaware — the eastern entrance to the C&D — the tug turned west into the canal, but the barge did not, its momentum carrying it past the tug. Attached by the towline, the much bigger and heavier barge swung the stern of the tug sideways, causing it to flip and quickly sink. A crewman who was caught below went down with the tug. Then there’s the 20-foot runabout that anchored in the canal not far from Reedy Point in 2006 just before a tug-and-barge rig passed. Anchoring in the C&D is a violation of canal rules, but anchoring stern-first proved to be an even worse breach of basic seamanship: The wake from the tug and barge swamped the runabout, throwing all three passengers into the water. None was wearing a life jacket. The one who couldn’t swim is the one who drowned. Between 1938 and 1950 — before the canal was widened to its current size — eight ships collided with bridges in the canal, with loss of life. Danger lurked on shore, too. The canal has always had a railroad lift bridge, which is supposed to be lowered whenever a train comes through. But twice, in 1862 and in 1890, it didn’t work out that way. The bridge was still raised as trains crossed and ran into the canal. Two men were killed in the first accident. So whether you’re a professional mariner or a recreational boater, the C&D deserves your attention and respect as you transit. This deceptively serene stretch of water is far trickier and more turbulent than it looks, and it has charged a tragically high price for poor conditions, bad luck and ignorance. 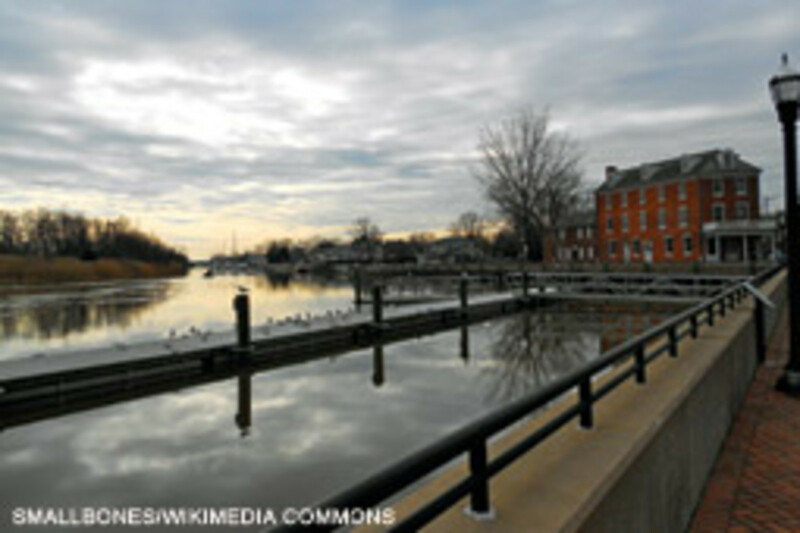 The C&D is a 14-mile-long sea-level connection between the upper end of Chesapeake Bay and the Delaware River in Maryland and Delaware. The canal is currently 450 feet wide and 35 feet deep, which allows it to handle all sizes of cargo ships, tankers, tugboats and barges, and container-carrying vessels up to Seawaymax-classification (740 by 78 feet, 116 feet high, with a draft of 26 feet). 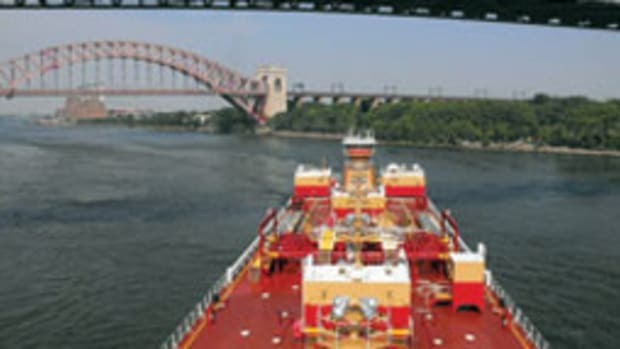 The canal is a vital link for cruisers and a crucial shortcut for commercial traffic between Baltimore and ports to the north, especially the petrochemical plants of Delaware, Pennsylvania and New Jersey. Millions of tons of cargo, accounting for 40 percent of the shipping traffic in and out of Baltimore, go through the canal each year. 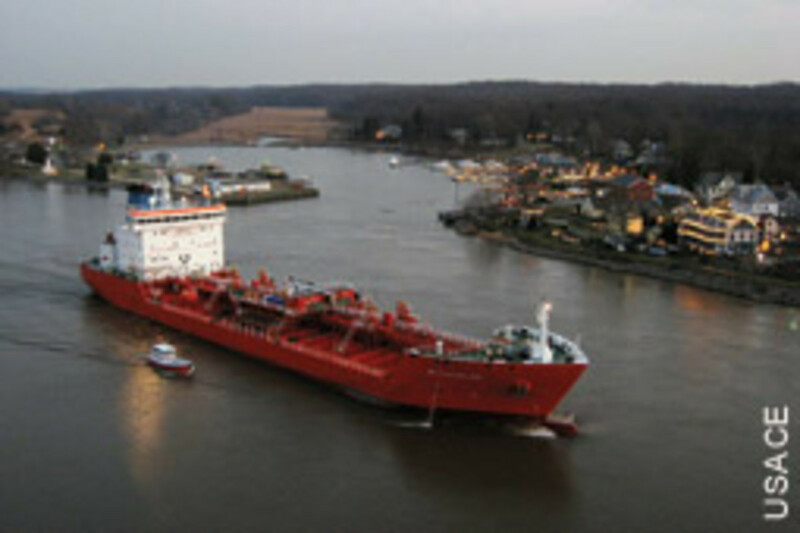 For the average ship going between Philadelphia and Baltimore, the C&D saves about 300 miles, six to 10 hours of steaming and roughly $7,000 in fuel from the alternative route between the two cities, which is to head out Delaware Bay to sea, run along the coasts of Delaware and Maryland, and then turn and travel all the way up Chesapeake Bay. Not surprisingly, the C&D is among the busiest canals in the nation. An average of two to three cargo ships pass through each day, and tugboats, barges and other types of smaller commercial vessels transit more frequently. Recreational boat traffic on warm-weather weekends can be heavy, which can make for crowded and risky conditions, especially in bad weather and strong currents. The canal and the five high-span roadway bridges that cross it are owned and maintained by the Army Corps of Engineers Philadelphia District, which has its operational office for the canal in Chesapeake City, Maryland. A rail and pipeline bridge also cross; all are high enough for cargo ships and no problem for sailboats. The Army Corps also operates the C&D Canal Museum in Chesapeake City, located in the original pump house used to lift water into the uppermost waterway. The full-size replica Bethel Bridge Lighthouse — an example of lighthouses used to warn vessels of locks and bridges prior to 1927 — is also near the museum (at the entrance to the Chesapeake City anchorage basin). For boats overnighting in the anchorage, the free canal museum is well worth a visit. The Army Corps constantly monitors the canal by video and radio because it occasionally has to close the waterway, either because of heavy fog or an accident that results in a sinking and obstruction. Red and green traffic lights let you know whether to enter the canal. They are mounted on towers at both ends of the canal — the western Chesapeake entrance at Old Town Point Wharf on the southern shore and the eastern Delaware entrance near the north jetty of Reedy Point. 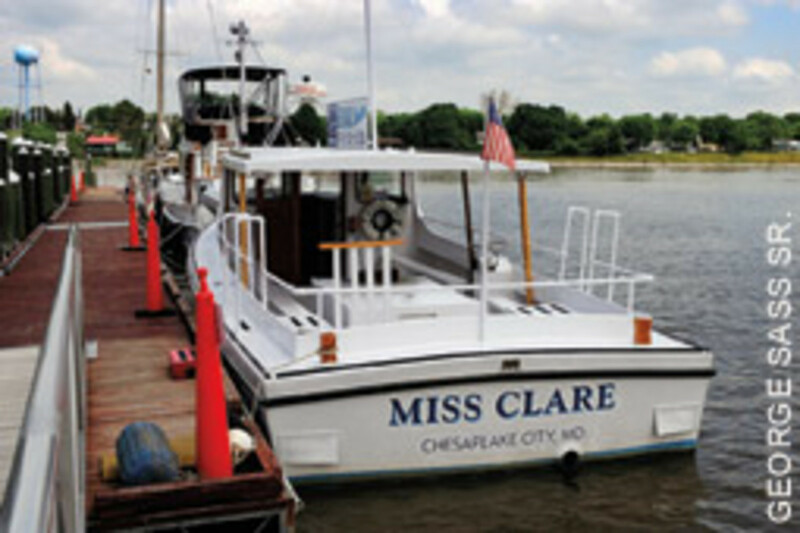 The only town on the C&D is Chesapeake City, which is also the canal’s operational center. In addition to the Army Corps offices, NOAA’s C&D tidal station is there, and the Chesapeake City Bridge is where harbor pilots switch off between the two bays. Ships entering Delaware Bay, for instance, pick up a licensed Delaware pilot in Lewes, Delaware, who disembarks at Chesapeake City in the C&D. At the same time, a licensed Maryland harbor pilot comes aboard to guide the next leg of the passage to Baltimore or points south. The process is reversed for ships leaving the Chesapeake and headed for Delaware Bay. From either shore you can watch “the changing of the pilots” as the pilot boats come alongside freighters passing under the Chesapeake City Bridge. As demonstrated by the tugboat Swift’s sinking, heavy fog in a narrow and sometimes swift-flowing canal can make for deadly conditions. Fog can develop anytime in the C&D, but it is more common in the spring and fall, and boaters passing through should be prepared for it: a VHF radio tuned to channel 13, a GPS/chart plotter and (ideally) radar. If fog is present, check with the Army Corps dispatcher to make sure the canal is open. As the captain and the only one aboard with fog experience, Gregory took the helm and ordered everyone topside for extra eyes. Although he could see no landmarks or boat traffic — “I neither passed nor was passed by another vessel” — he announced their position on the VHF at every major landmark he could identify on the plotter. As soon as they cleared the canal’s western entrance, they anchored until the fog lifted. With the canal running roughly east-west, the current floods eastbound (from the Chesapeake toward the Delaware) and ebbs westbound. This is important for timing your passage if you have a low-horsepower vessel. 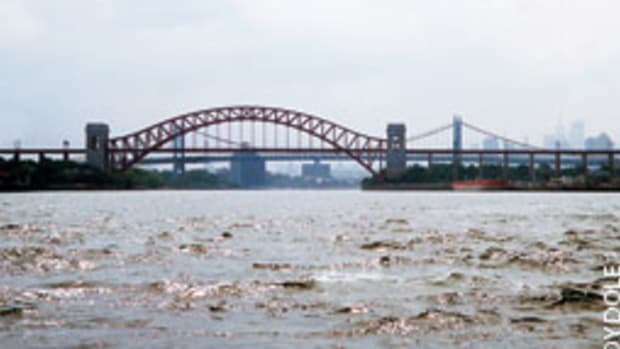 The current in the canal can be strong — typically 2 to 3 knots, sometimes more than 5 — so sailboats, in particular, will need to make the transit with a fair tide. Because the C&D tidal reference station is at Chesapeake City, calculating an eastbound transit is fairly easy. Using NOAA’s tide and current predictions (tidesandcurrents.noaa.gov), Eldridge Tide and Pilot Book or Reeds Nautical Almanac, locate the slack water times for the Chesapeake City reference station; if heading east, simply show up at the Chesapeake City Bridge either just prior to or at slack water at the start of a flood to ensure a fair current heading toward the Delaware. Conversely, a westbound boat should enter the canal at Reedy Point in Delaware Bay about an hour prior to slack water at the start of an ebb at Chesapeake City to ride the tide toward the Chesapeake. Small boats should not underestimate the power of the currents here. During my first trip through the C&D several years ago, we arrived at Chesapeake City in the dead of night because of an unexpectedly fast sail up the Chesapeake and we were fighting a strong full-moon spring tide. The 18-hp diesel in my 26-foot sailboat barely overcame the head current. If you’re also dancing with a freighter or getting squeezed to the side by a tug and barge, this quiet little canal can become a little too exciting. Signage in the canal is excellent, and mercury-vapor lamps line the sides of the waterway, a big help at night or in fog. Boaters should be aware that the buoy colors and numbers reverse at the Chesapeake City Bridge. Eastbound (entering from the Chesapeake), red lights and even-numbered markers are on the right (south) side of the canal until the bridge; past the bridge, they are on the left (north) side until exiting the Reedy Point breakwater and entering the Delaware River. 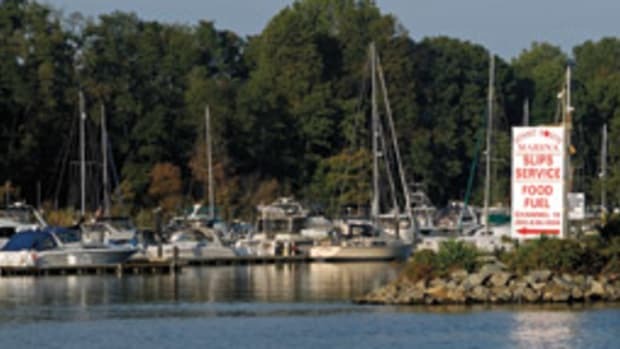 Performance powerboats have been fond of charging through the canal, which prompted Maryland to post a speed limit of 35 knots day/20 knots night, radar-enforced by state Department of Natural Resources police. The idea for the canal came from a Dutch mapmaker in the 1600s who saw the value of connecting the two bays at their shortest point. It took two centuries for that idea to become a reality. The private Chesapeake and Delaware Canal Co. finally began construction in 1824, and four years later the waterway opened with four locks. (Steam-operated waterwheels raised the water.) It was only 10 feet deep and 66 feet wide, and mules towed boats through the canal. At a cost of $2.5 million, it was one of the most expensive projects of its time. With commerce and traffic growing, President Theodore Roosevelt commissioned a feasibility study in 1906 for converting the canal to a “free and open waterway.” The federal government bought the canal from its private owners in 1919 for $2.5 million and began expansion. By 1927, the C&D had been converted to a sea-level canal 12 feet deep and 90 feet wide at a cost of $10 million. The canal was widened again between 1933 and 1938 to 250 feet and deepened to 27 feet for $13 million. But that was still too small, and in 1954 Congress authorized expansion of the channel to its current size (450 feet wide and 35 feet deep), a job that was completed in the 1970s. With the size of freighters continuing to increase, the Army Corps has studied further expansion, but those plans are on hold. On some Maryland charts of the area you may still see the name “Back Creek” appearing somewhere in the canal. The name is a ghost from a distant past: That was the creek engineers dug out and turned into the canal — a small, natural and now forgotten waterway sacrificed long ago to progress. 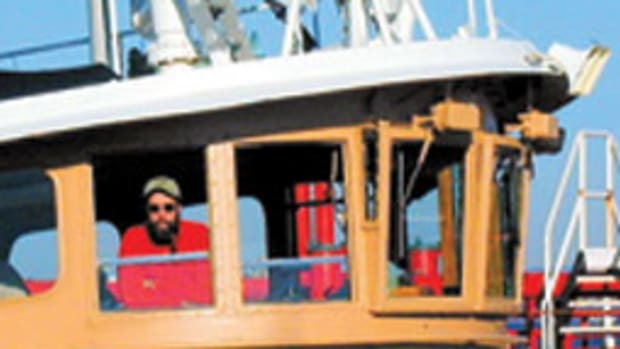 Stephen Blakely is a contributing writer who sails his 26-foot Island Packet, Bearboat, on Chesapeake Bay.